Over 500 members of the Sydney Jewish community have been mobilised in the search to find missing 11-yr-old Michelle Levy. 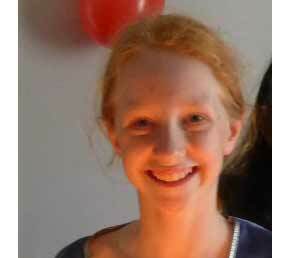 Michelle went missing last night after leaving her Glenayr Ave home in Bondi. J-Wire understands that there was a sign on the door of her home assuring her that she could make her presence known at any time of night. A full sweep of Sydney’s Centennial Park at which there had been sightings produced no results. 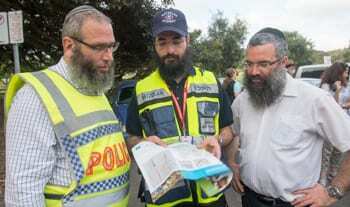 In evolved in the search were specialist members of the NSW police and the State Emergency Services aided by Hatzalah, Jewish House, the CSG, JEMS and members of the community. Our Big Kitchen has been supplying food and drink. This evening at 8p.m. volunteers are being asked to offer their services. The meeting point will be Jewish House in Bondi’s Flood St.
Members of the search party told J-Wire that a full sweep had been made of Michelle’s school, Woollahra Public and teams were sent to search Bondi Beach, Bronte Beach, Bondi Junction and other areas where there could be a possibility of finding the 11-yr-old. This sort of parochial community reporting bothers me. I’d hope that the entire (non-Jewish) community is helping to search for this child. I’d hope it was the same whether the child was buddhist, christian, agnostic or whatever. Obviously many people are totally blind and deaf to the distasteful sectarian message this sort of reporting sends and the suggestion that only the Jewish community would be active. By implication, is it suggesting that far less than 500 people from the Jewish community would be mobilised if the girl was not Jewish? We really don’t need more reasons to be tribal in Australia at this present time. If any event should bring the community together it should be something like this. Maybe try and rise above tribalism for once? Get a life, mate and stay stumm !!!! I feel about it the same way. The fact that she was Jewish should not have come in to it. You wanna make a bigger issue of “social conscience” proportions out it let’s do it !!! In small country towns/close knit etc. these kind of stories unfold like this in most cases. In large metropolis a lot less. The fact that the child is Jewish triggered special alerts these days ( see frequency of Jew targets of late ). The reaction of the Jewish community is a response to the current tensions, the fear that ( G-d forbid ) something a lot worse could have bee caused by you know who and why. It is normal for Jews to respond like this given the circumstances and a lot less expected of non Jews for the same reasons.